The United Kingdom will be at the forefront of a high-readiness force that includes Estonia. On 30 November, the British defence secretary, Michael Fallon, committed the UK to a leading role in the Joint Expeditionary Force (JEF), which will include Denmark, Estonia, Latvia, Lithuania, the Netherlands and Norway, and could mean the mobilisation of up to 10,000 troops to tackle crises. Fallon hosted defence ministers from all six allies in London for the signing of a memorandum of understanding that will allow each country to train and integrate, sharing knowledge, skills and resources. The JEF will be a pool of high-readiness forces that can respond quickly to a range of issues, using combat power, conventional deterrence or humanitarian assistance. Such assistance could include setting up responses similar to that deployed to tackle the ebola outbreak in West Africa. “In a world of ever-greater uncertainty and growing threats it’s right that the UK plays a leading role in developing this high-readiness force. Building on our pledges made at the NATO summit, this demonstrates our commitment to crisis management and cooperative security,” Fallon said. The secretary added that the force will allow the seven allies to share knowledge, skills and resources, and enabling it to deliver a rapidly deployable, flexible and integrated joint force. The UK’s contribution is expected to include lead commando, airborne, armoured, aviation, air and maritime task groups. 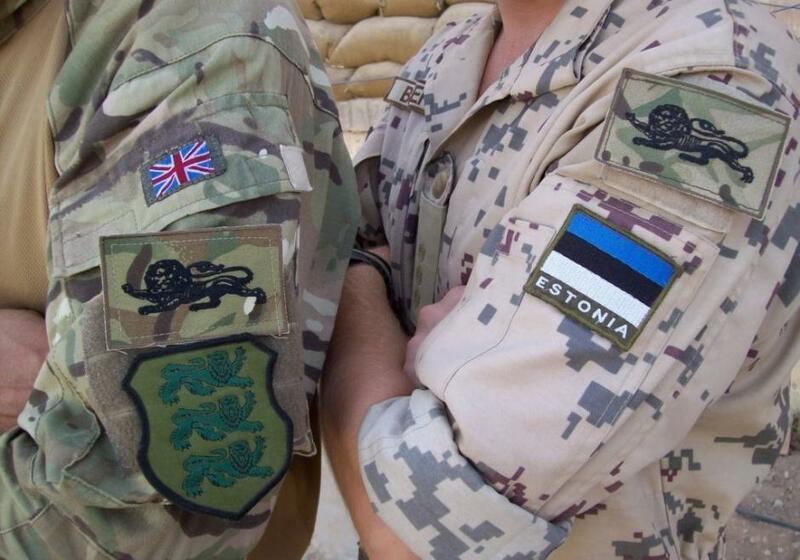 Britain and Estonia have, in last 10 years, become formidable allies. Estonian troops served under British command in Afghanistan and the Royal Air Force has repeatedly provided jets for the Baltic Air Policing mission in the absence of local air defence capability. Four RAF Typhoon jets were deployed to Ämari Air Base in Estonia this year. The UK is still the second largest defence spender in NATO after the United States, and one of the most formidable military forces in Europe. Cover: British and Estonian soldiers served side by side in Afghanistan.